No better time than the present to put your stresses on hold and set out on a blissful getaway with your other half. For intimate ambience with a touch of adventure, these 9 exquisite hideaways set the stage for a romantic retreat with true flair. It’s the ideal spot for lovers who want a little seclusion but can’t be away from the city for long. Located within a few minutes’ walk from the Kuala Lumpur Towers, the Villa Samadhi is exclusively designed for couples. It boasts 21 spacious villas, each bearing a luxurious traditional Malay aesthetic. While you’re there, stop by the acclaimed Tamarind Springs or Neo Tamarind restaurants for a romantic dinner. More information can be found here. Step hand-in-hand into massive natural caves and gaze on ancient limestone hills – just a few of the natural features you’ll get to experience at this hot springs retreat just a 15-minute drive from Ipoh City. Ease away those tensions in the geothermal hot springs dipping pools or simply relax in your choice of a villa overlooking the lake, water canal, or the courtyard garden. Keep in mind: The Banjaran’s couple-friendly stay packages include candlelight dinners (in a limestone cave, no less! ), couples’ massages and a hot tub bath among other perks. Click here for more details. Enjoy moon-lit conversations at Coco-Joe’s Bar & Grill or take an exhilarating boat ride together over the clear blue waters of the South China Sea. Whichever itinerary you choose, the Shangri-La’s Tanjung Aru Resort ticks all the boxes for the nature-loving couple. When you’re not relaxing in the opulence of your ocean-view villa, explore the nearby coral islands by a cruise or take a stand-up paddleboard lesson. More information can be found here. The couple that live for the finer things in life will not be disappointed by a stay at the 5 Heeren Hotel’s Grand Heeren Suite. All the guestrooms here offer a mix of traditional English and Chinese decor, but this posh suite goes all out, boasting original Peranakan bridal furniture and great views of the famous Jalan Tun Tan Cheng Lock. Click here for more details. A beach paradise of ancient rainforests, white sands and emerald waters, Pangkor Laut Resort boasts an exceptional offering of unique experiences, from dining on the beach at Emerald Bay under the care of a personal butler and a candlelight dinner at the Fisherman’s Cove to a ride on The Impian private cruise, where there are wonderful views to be had of the Straits of Malacca, followed by a gourmet picnic once anchored on the resort’s private beach, Squid Bay. Click here for more details. Dive in to the charm of Penang’s colonial past with a stay at the Edison Hotel in Penang’s UNESCO World Heritage Site of George Town. This restored colonial mansion – with its cosy guestrooms, breezy central courtyard and poolside dining area – makes a wonderful spot to come back to after a day of sight-seeing around George Town together. More information can be found here. 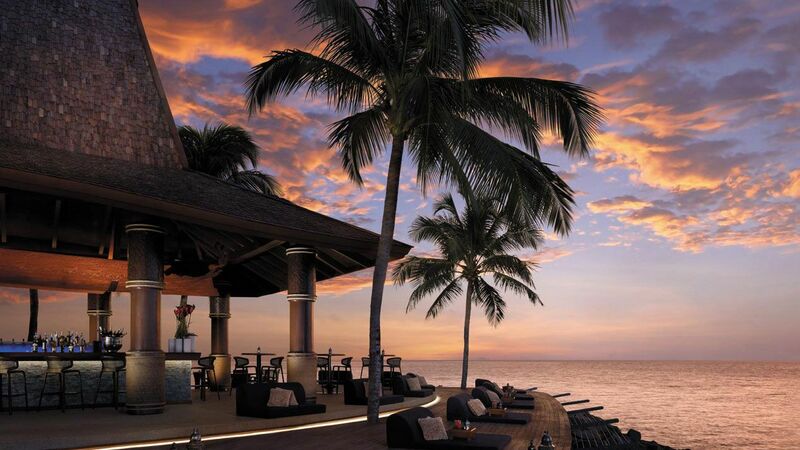 There’s never a dull moment at the Four Seasons Resort in Langkawi – couples can treat themselves to massages, savour some unique cocktails at the Rhu Bar while overlooking the sea, or splash their stresses away in the shallow waterfalls nearby. Don’t forget to ask about the Langkawi Sunset Heli-Flight for a view of Langkawi’s southern islands like you’ve never seen them before. Click here for more information. When was the last time you did something adventurous together? Relive the excitement with a night-time scuba dive or a fun excursion to Mukut Village to see the twin peaks of Tioman Island. For a hearty dose of nature’s goodness at every turn (with a hint of opulence thrown in, of course) The Japamala Resort is the place to be. Stay at the Seaview Sarang or the Jungle Luxe Sarang when you cross paths with this eco-friendly spot - it's the childhood tree-house fantasy come true. More information can be found here. An organic wellness spa resort with a soft spot for lavish society weddings and even more lavish structures (the resort’s architecture is inspired by the 12th century French castle, 'Chateau du Haut Koenigsbourg’), The Chateau offers privacy and exclusivity in which to unwind and spend quality time with a loved one. That doesn’t mean there isn’t a variety of amazing activities to try: there's golf, Japanese tea ceremonies, horse-back riding, paintball, rock-climbing to name just a few.